Are You a Registered Childminder or Nursery? Do You Run an After School Club? Do You Need an Affordable Website? Free Updates Throughout The Year Too! Complete professional websites for childminders and nurseries. Good prices and NO MONTHLY FEES! All childminder, nursery and after school club websites include full hosting, real domain name of your choice, corresponding e-mail address if required and all essential web pages. Most childminding or nursery customers report an increase in business over other childminders or nurseries that do not own a website. If you do a search online you can see the prices that most web designers charge. One word - expensive! I want my customers to have the best value possible so I provide good websites for decent people at reasonable prices with no hidden extras. There is no need for monthly fees either by the way! Childminder and nursery websites for under £200! 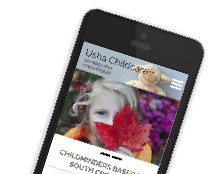 Pick from a range of professionally designed childcare websites to suit your style and budget. Choose a design . . . Enter your details into a simple form. Extra text, or photos can be added later if needed. Fill in your details . . . Your website will be unique to you and will be published to the internet within 2 weeks. Show the world . . . If you do not see the Twitter account in this space please click here to reset. Everything included and no monthly fees!!! Press ‘Start’ to take you through the options! Most parents looking for childminders or nurseries look to the internet first, so having a web presence is virtually essential if you are a childminder, nursery or have an after-school club etc. All prices are inclusive of VAT and there are NO monthly fees like many other web designers. Only a deposit of £50 is required to cover initial costs. The balance will not be asked for until you are completely happy with your childminder/nursery website. You can provide as much or as little information as you like and I will fill in the rest - photos, graphics and logos are all very welcome (although not essential). If you are a new to childcare and you do not have any photos or graphics then that’s fine - I will design you a simple logo free of charge and use my stock pictures - your website will make it look as if you’ve been in the business for years!! By the way, no childminding or nursery websites will be the same. They will all vary in colour, graphics and style, even if other childminders or nurseries choose the same website design. Your website should be uploaded to the internet within 2 weeks. These are some one of my recently finished sites. Please click on them to go to the actual websites. Many people have asked me about designing websites for other professions. Although I specialise in childminders and nurseries websites I will occasionally venture outside this field and create websites for other small businesses. I have created sites for driving instructors, care homes, bands, painter & decorators, churches, builders and even physchics! I will usually charge either £180 or £200 depending on size of site and design requirements. This includes the domain name and hosting. Each website is individually created from scratch. Please click here for some non-childminding or non-nursery designs. Contact me if you are interested. Have a look through the design templates on offer. My designs are all made specifically for childminders or nurseries. The styles are all simple, eyecatching and bright. Because the designs are already made for you, it allows me to keep my prices very low compared to 'normal' web designers. 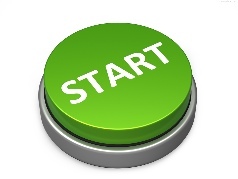 Simply choose the design you like from the 'Get Started' page and then click on 'order this site'. Fill your details into the simple order form. Once you have clicked 'order this site' you will then be asked to fill in a simple order form with some standard details about your childminding business. Once you have filled in the form (should take about 5 minutes) you can then press the 'Submit' button. Your completed form will then zoom it's way over to me and land in my inbox. Once the website is complete it will be uploaded to your chosen domain name within 2 weeks. You can then view your website in all it's glory. Any errors or alterations can then be made until you are happy with your website. Once your website is online you are free to put it on letterheads etc or advertise it as you wish. The Search Engine Submission Package that I offer should secure your place in Google too! By request - for just £69 I can now add a mobile version of your website that only shows on mobile smart phones!! Incredible value - just compare to others! Whenever your website is viewed on an iPhone, Galaxy, LG, HTC, Sony, Motorola etc, a simpler version of your website appears that’s easy to read and navigate. The new ‘parallax’ website that’s stunning to use! Your text scrolls smoothly past giant images creating a visual treat! - Ideal for childminders or nurseries! I am registered with the Information Commissioners Office - the UK’s independent authority set up to uphold information rights in the public interest, promoting openness by public bodies and data privacy for individuals.